Did we manage to spill anything with the new Magicup? There was a stir of excitement in our office when two lucky members of our team received a parcel from one of our long term clients! 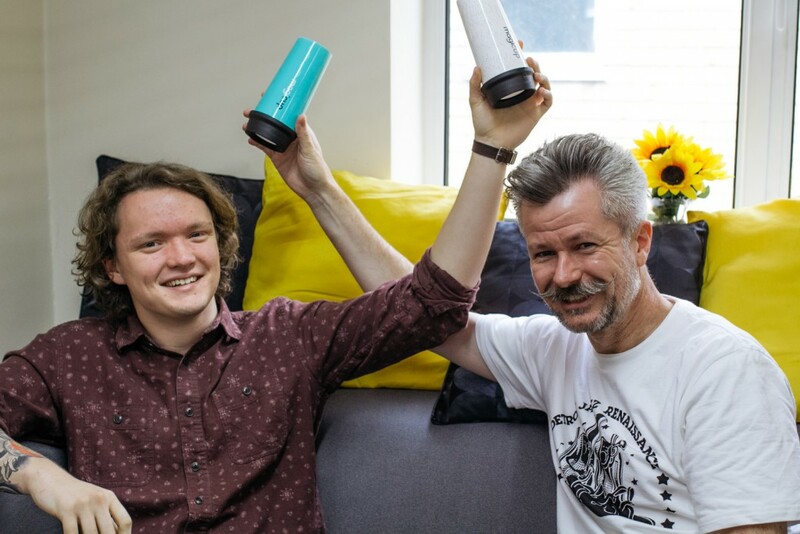 We were asked to help with our client’s online marketing for a revolutionary new product they have developed and launched – Magicup. Magicup is an innovative and evolved take on the humble non spill cup that rockets it to another level in terms of function and design. 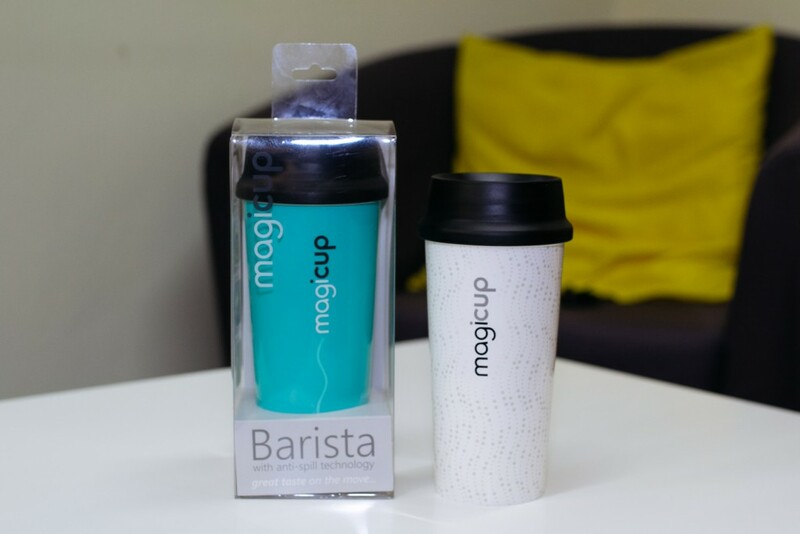 The unique difference is that the cup is fully open at the top allowing you to drink from any part which also allows for the full 100% aroma of your morning coffee to be savoured which gives a far more pleasant and natural drinking experience. This drinking freedom doesn’t limit the functionality and, if the cup does take a dive, the lid magically snaps shut and will retain 95% of the contents. On top of this, we’re a style conscious bunch at Essential Marketer and the cup scores well, looking pretty snazzy and something you won’t mind being seen in public with. 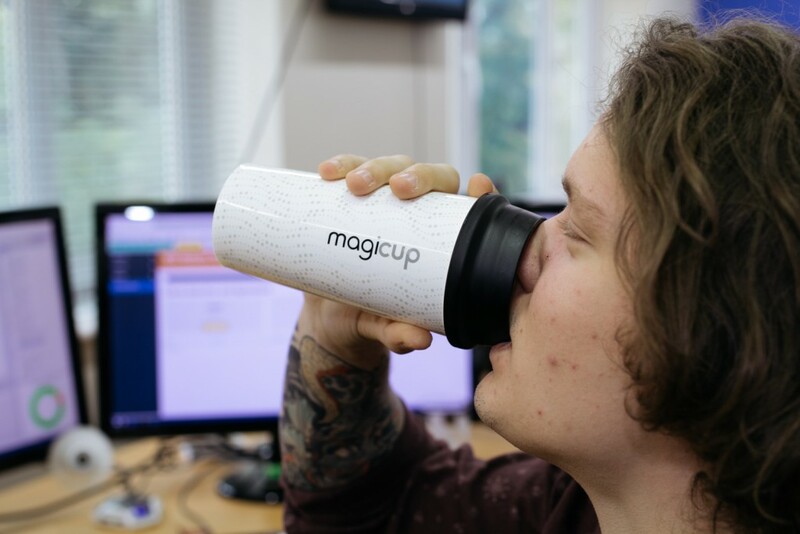 We were delighted to get the chance to test drive the cups in the office and the consensus is that Magicup is an all round winner – it works well and it looks great, even when we confidently tried it over our heads!